Firecracker loved the book. The elves are cute and fun to look at. There is also a lot of information about apples and their varieties...also perfect for a Washingtonian family. 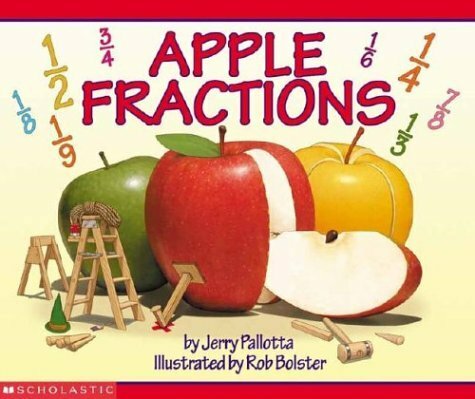 This is definitely going on my list of books I would like to own because it teachs about fractions in such a fun and straightforward way...and it's got something for kids at all different levels of understanding. 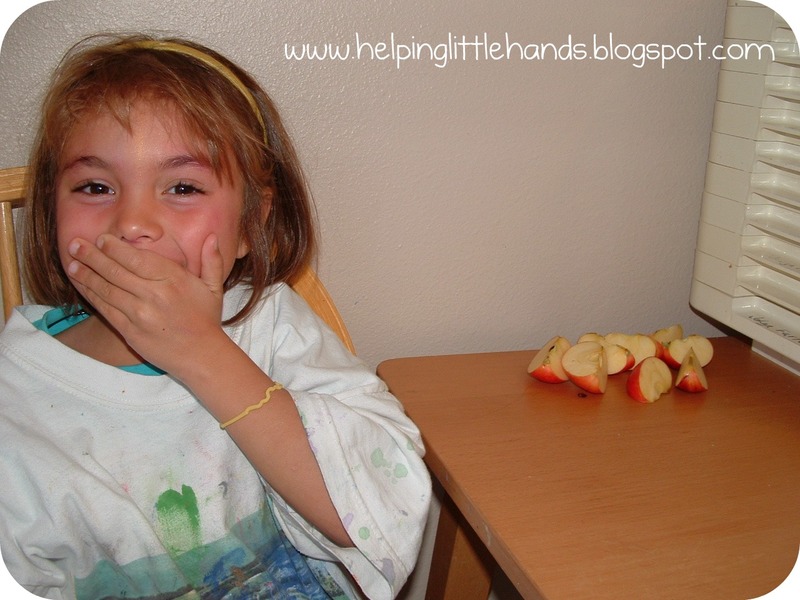 Firecracker understood some of it, but she'll understand even more as her math skills improve. We did two activities on two different days to go with this book. 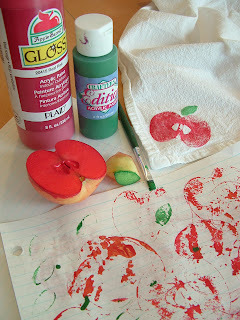 First we did some apple stamping to make some decorative napkins (a great way to to learning-time into gift-making-time). 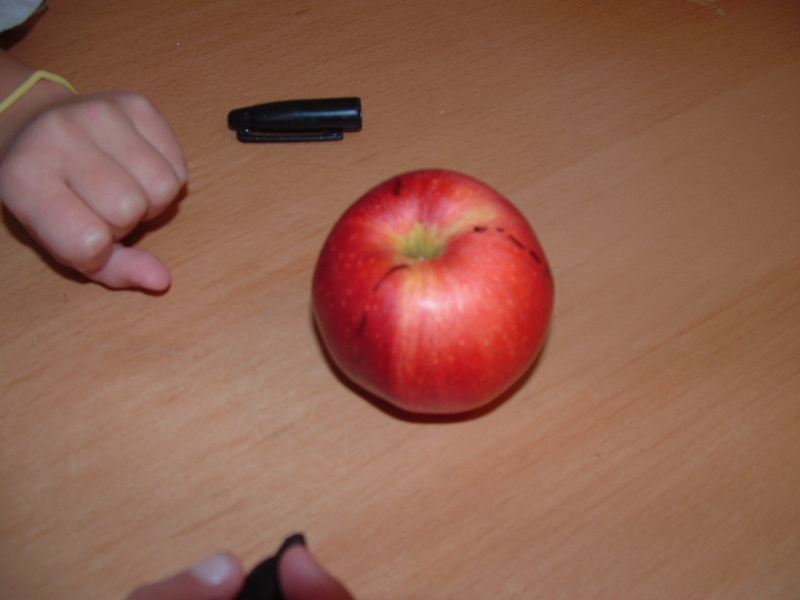 Then we also cut some apples up into our own fractions and played with them for some hands-on illustrations. 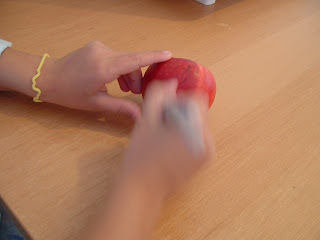 Firecracker insisted that we drawn dotted lines before we cut because that's what they showed in the book. And perhaps the most fun part of the lesson was stealing all the apple fractions. Yummy AND educational is always a good combination. 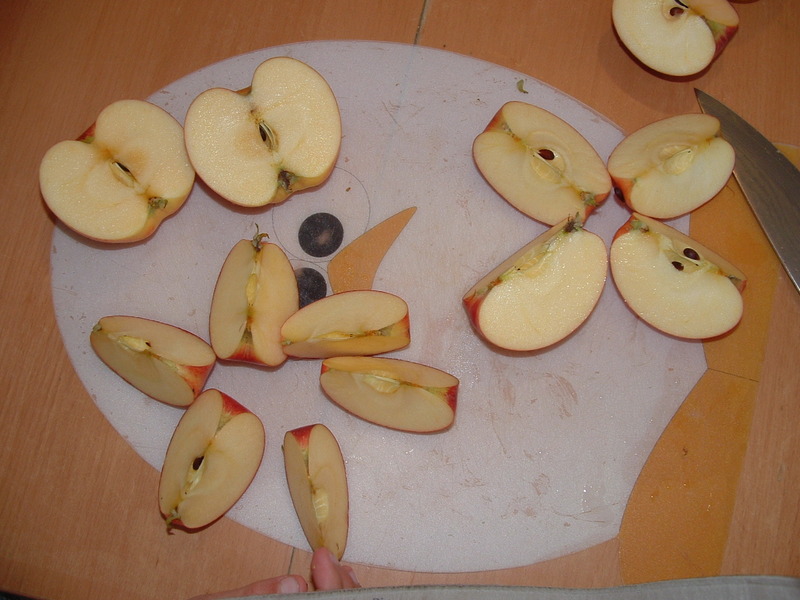 I think it's fun to slice the apple around its "equator," too, and show the kids the "flower" inside the apple. 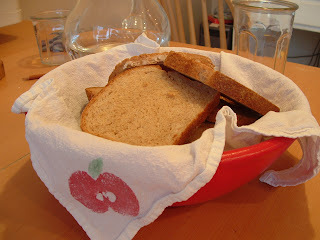 Firecracker is so cute! I remember doing an activity with apples when I was helping in the 3rd grade class.